The Patrol Division is the largest unit within the Green River Police Department, with the strength of two captains, four sergeants, four corporals, and 10 officers. Green River patrol officers work 12-hour shifts and are assigned to geographical areas of responsibilities commonly referred to as beats. Police officers assigned to the patrol division responds to approximately 15,000 calls for service each year and complete preliminary investigations into all crimes occurring in the City. The officers of the Green River Patrol Division are some of the most visible and well-trained representatives of local government who are "Working Together to Serve You Better." 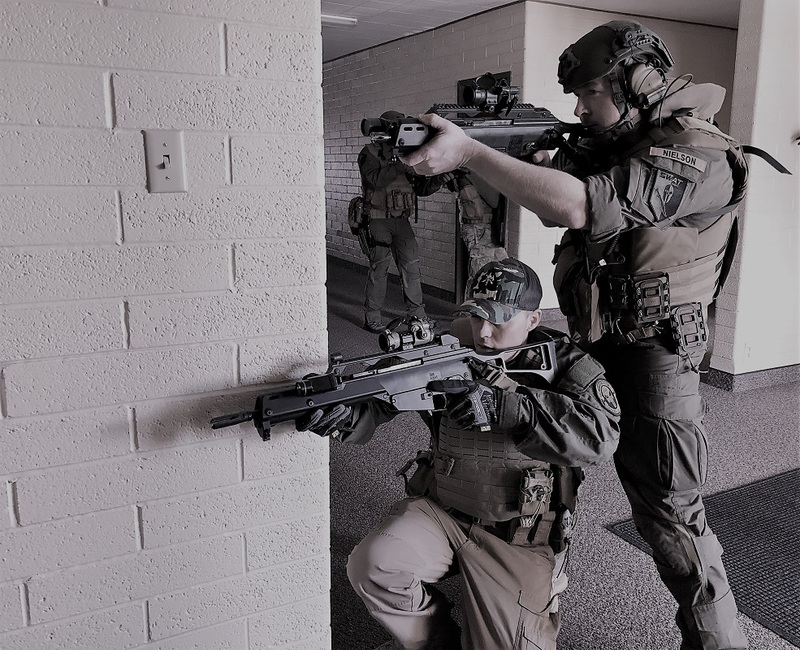 Established in the 1980s, the Green River SWAT Team (Special Weapons And Tactics) is a group of highly trained officers whose primary purpose is to respond to incidents outside of the scope of normal police work. These incidents include, but aren’t limited to; hostage incidents, riot control, active gunmen, dignitary protection, barricaded subjects, and high-risk warrant service. The team also responds to calls from other agencies throughout the state when requested to do so. The team currently consists of an entry team, a sniper team, and a support team that includes an explosive ordnance unit, a negotiations unit, and a TEMS (Tactical Emergency Medicine) unit. Officers assigned to Joint SWAT must complete a rigorous physical fitness test, a marksman course, and an oral interview to be selected to the team. The team trains over 200 hours annually on their own and also attends other specialized training programs throughout the year. 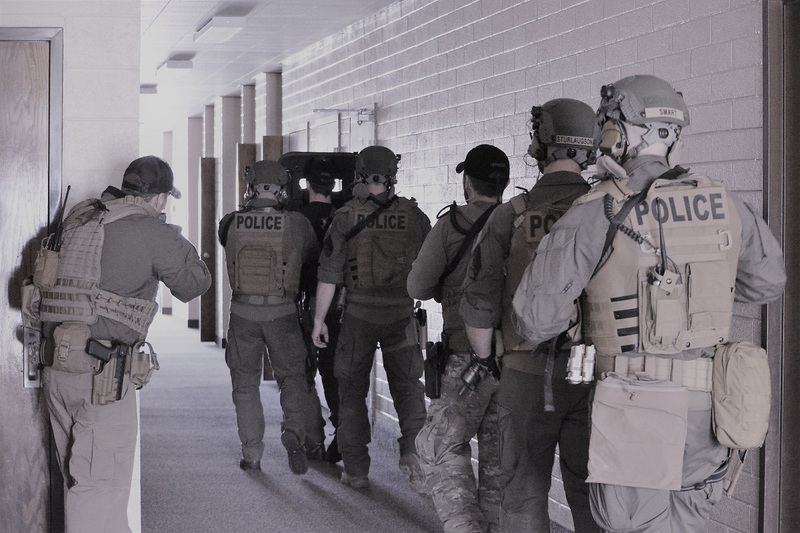 The mission of the Joint SWAT Team is to save lives by attempting to reduce the risk of injury and loss of life to hostages, innocent citizens, law enforcement officers, and suspects. 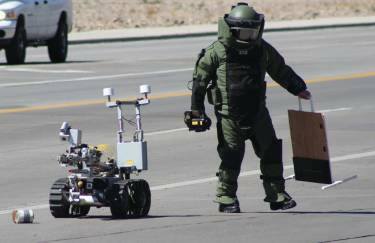 The Bomb Technicians are members of the Sweetwater Bomb Squad. The Sweetwater Bomb Squad is a nationally accredited squad with members from the Sweetwater County Sheriff's office, the Rock Springs Police Department, and the Green River Police Department. The Bomb Squad handles a wide range of incidents, including; found fireworks, explosive disposal, and rendering safe of Improvised Explosive Devices and Weapons of Mass Destruction. The Bomb Squad's area of responsibility ranges from Vernal, Utah, north to the Montana State line, including the Flaming Gorge Dam and Yellowstone National Park, and from the Western border of Wyoming to Rawlins. The Bomb Squad also does educational awareness for the public and other emergency responders. The Green River Police Department K9 Unit is comprised of one K9 and a handler, which are assigned to the Patrol Division. The K9 team was created to assist police personnel to search for drug-related evidence, by conducting building searches, open area searches, and vehicle searches for the presence of narcotics. The team also assists in the tracking of missing persons and fleeing suspects. The Green River Police Department K9 team is nationally certified through the K9 Working Dogs Internal LLC. in the detection of cocaine, methamphetamine, marijuana, and heroin. The K9 team's service to the community and their fellow officers have proven to be invaluable. The K9 team participates in educational learning demonstrations; in our local schools, and for the community. Drug education for our youth is very important in the fight against drugs. For more information on having the K9 Unit do a presentation contact Sgt. Brad Halter or Jamie Green.